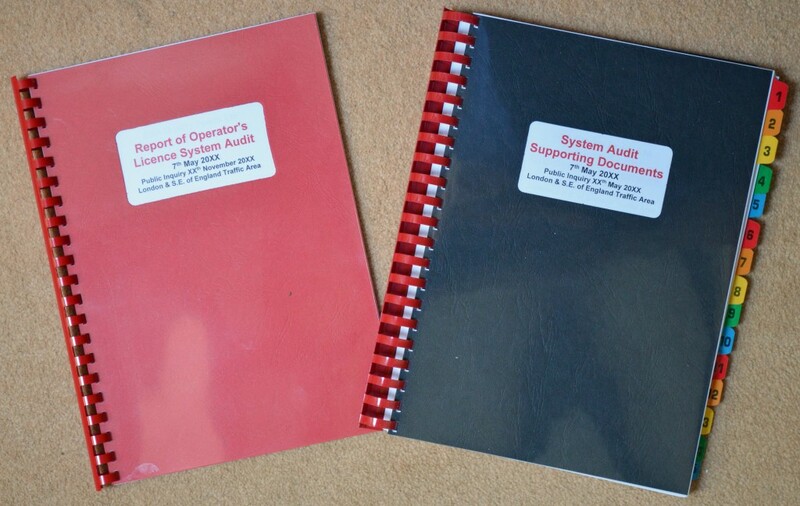 If you received an unannounced visit by Officers of the Driver and Vehicle Standards Agency (formerly VOSA) or the Police Commercial Vehicle Unit, would they find all of your maintenance and safety systems satisfactory? Forward Planner(s) in Use with Projected Dates for Safety Inspections and other Maintenance and Document related dates? Are checks satisfactorily carried out? Is a full written defect reporting system in use and effective? Is follow-up action taken and recorded? Maintenance Contract (if applicable), current, completed & signed? Facilities adequate for number of vehicles authorised/requested? Is off-road parking at Centre(s) adequate? Is/Are Operating Centre(s) as notified? Are vehicles in good condition and are safety monitoring systems in place? Have prohibitions been received or failures recorded at annual test? Are systems in place to collect tachograph charts/data on time? Is number of Infringements acceptable? Are Infringements dealt with quickly and correctly? Are Working Time Directive reports accurately maintained? How would your maintenance and tachograph systems and records stand up? Do you have peace of mind or is it time to request an audit?